I'm new on JBoss studio and would like to know how to deploy ear project from IDE to JBoss server. Now.. I have installed JBossStudio and have set up my projects and have set up a server. 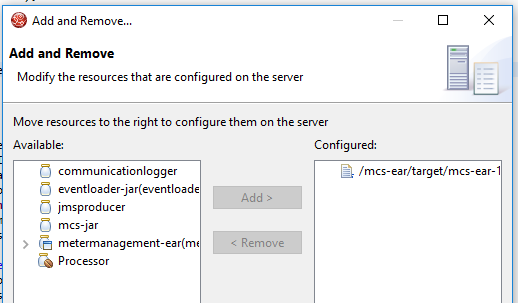 From my IDE I now want to deploy the ear file so I go to the project "branch" and on the "mcs-ear-xxxx" I select "Mark as Deployable" right? 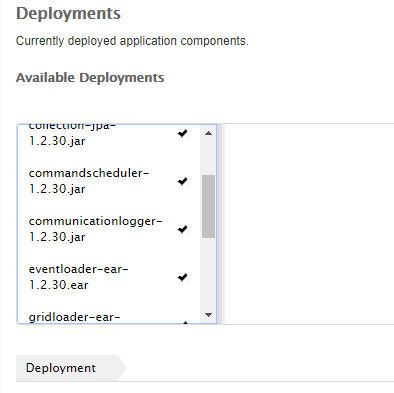 Is this the right approach to deploy EAR files (projects) on EAP? but the web services are not available.. I got the error page..
Do I need to restart the JBoss instance from the "servers" menu? Is this ok? 12:54:07,065 ERROR [org.jboss.as.server.deployment.scanner] (DeploymentScanner-threads - 1) JBAS015010: The deployment scanner found a directory named META-INF that was not inside a directory whose name ends with .ear, .jar, .rar, .sar or .war. This is likely the result of unzipping an archive directly inside the C:\jboss-eap-6.1\standalone directory, which is a user error. The META-INF directory will not be scanned for deployments, but it is possible that the scanner mayfind other files from the unzipped archive and attempt to deploy them, leading to errors. 12:54:07,066 ERROR [org.jboss.as.server.deployment.scanner] (DeploymentScanner-threads - 1) JBAS015010: The deployment scanner found a directory named WEB-INF that was not inside a directory whose name ends with .ear, .jar, .rar, .sar or .war. This is likely the result of unzipping an archive directly inside the C:\jboss-eap-6.1\standalone directory, which is a user error. The WEB-INF directory will not be scanned for deployments, but it is possible that the scanner mayfind other files from the unzipped archive and attempt to deploy them, leading to errors. 12:54:16,428 ERROR [org.jboss.as.controller.management-operation] (management-handler-thread - 4) JBAS014613: Operation ("add") failed - address: ([("deployment" => "standalone-full.xml")]) - failure description: "JBAS014803: Duplicate resource [(\"deployment\" => \"standalone-full.xml\")]"
I don't know if this approach is right? For example, If I install all the ears, jars over the management console I got no error. 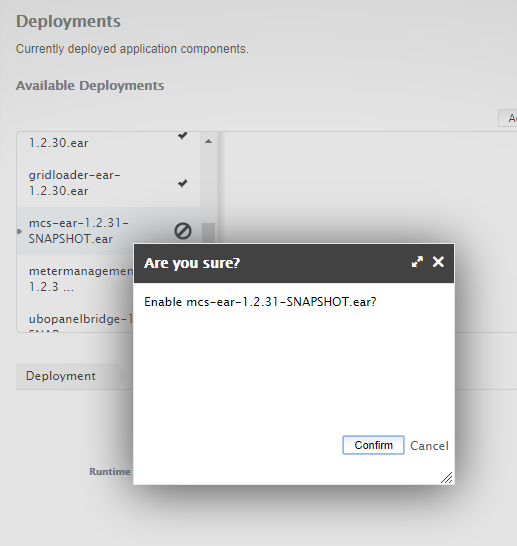 So my question is why I can't deploy the exact same EAR from JBossStudio to EAP (got error) and why I don't get error if I deploy the same EAR manualy trough Jboss Management console? 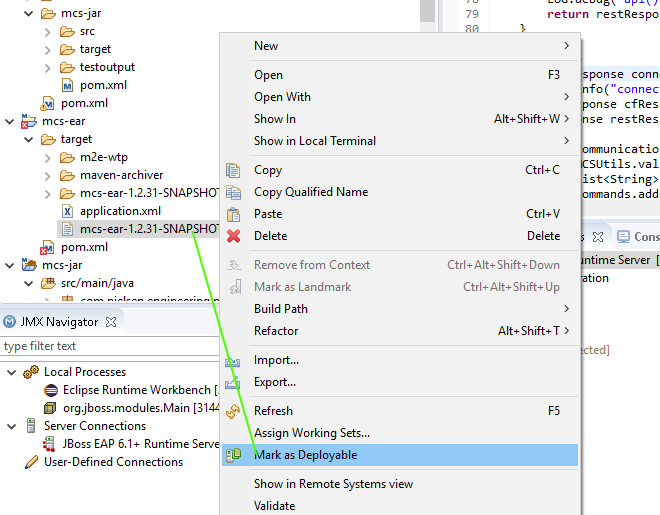 Also I'm searching for some tutorial on how to debug a pice of code in JbossDeveloper using Jboss EAP as server..